North-East History Tour: Buy My Books! Both of these publications can be purchased from Lulu - see my Storefront. Please note that you have to register with Lulu first, but it's free and there are no catches! They can be purchased as 'hard copy' books or downloaded for £1.50 each. Bargain! By the way, I would heartily recommend Lulu for self-publishing - even for publishing single copies of memoirs, diaries, family histories, etc. Brilliant. A collection of local history articles on the heritage of the North-East of England - from the Scottish border in the north to the Vale of Pickering in the south. 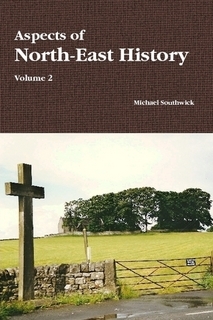 Subjects covered include: Capability Brown; Escomb Saxon Church; Middlesbrough's Transporter Bridge; The Lantern of Newcastle's St.Nicholas' Cathedral; Helmsley parish; Penshaw Monument; Description of a Coal Mine; Thomas Bewick; St.Mary's Lighthouse; Dunstanburgh Castle; Catherine Cookson biography; Place-names of the North-East; and potted histories of Haltwhistle, Belsay & Middleton-in-Teesdale. A collection of local history articles on the heritage of the North-East of England - from the Scottish border in the north to Richmond in the south. 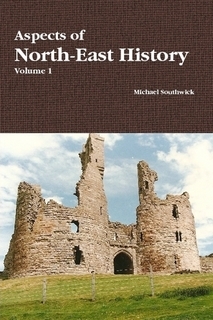 Subjects covered include: Roseberry Topping; the Hancock Brothers; Wearmouth Bridge; Bamburgh Castle; Ferryhill; Harry Hotspur; Richmond; Wreighill; the Boldon Book; Berwick-on-Tweed; Lindisfarne; the Battle of Heavenfield; Hartlepool's monkey; and potted histories of Crook, Blanchland and Staindrop. There are a few other publications at my Lulu Storefront which may interest you, too, so do have a browse.